What: Drive four different racing supercars - Lamborghini, Ferrari, Porche and Audi - 8 laps each around a road course. One-on-one coaching from one of the few drivers to have competed in every major racing series. A once-in-a-lifetime chance to ride shotgun with Christian Fittipaldi as he takes on the course. Where: Exotic Driving Experience at the Walt Disney World Speedway, Orlando, FL. How much: $1,999 per person, 24 participants maximum. 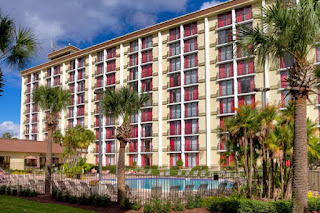 Where: Little St. Simons Island, a 10,000-acre natural paradise a short boat ride (also included) from St. Simons Island, GA, with 8 miles of pristine beach, pool, gym, organic garden. Even the bug spray is included. When: July 1-Aug. 30, 2012. Small print: subject to availability and some restrictions; tax and service charge extra. Greenloons http://www.greenloons.co/, the company that helps travelers make sustainable travel choices, offers suggestions for families who believe their teenage children can expand their views of the world by engaging in voluntourism. Project China – Pandas: 14 days at $2,149 per person (departures May through October; recommended for ages 12 plus) – Families will not only have the opportunity to take in Beijing’s ancient gems, Xian’s terracotta warriors, the Great Wall, and Shanghai, but also spend time at a Special Commune. It is an organic farm-based community set up to empower intellectually challenged individuals to be part of their community and support themselves through work and continual learning. Also, near Chengdu, families will be able to volunteer at the largest Panda reserve in the world, where they’ll help to gather bamboo and supplementary foods for the Pandas, and occasionally assist professionals in gathering behavioral data. Project Cambodia & Laos: 15 days at $1,799 per person (departures monthly, year round; recommended for ages 12 plus). Families will explore Indochina's most iconic and historic site - the vast temple-palace complex of Angkor - before spending three days at New Hope, Cambodia, which is a grass roots, hands on, non-governmental organization whose mission is to restore hope, dignity and promise to the local community. Volunteers help build a new school or library, teach in classrooms and visit local families who require assistance. The balance of the time is spent enjoying optional bike rides, swimming, cave exploring, and countryside visits. Project Peru Amazon: 9 days at $1,299 adult; $1,069 children 12-17 (departures weekly, year round). This family jungle adventure includes travel by motorized canoe up the Tambopata River to spend five days at a center for the rehabilitation and conservation of wild animals. Budding zoologists will help to maintain an interpretive trail, construct animal enclosures and interact with the local community. An additional unique aspect of this trip will be spending two days in the rainforest learning about traditional medicinal plants, spotting birds, cayman and monkeys. Project Costa Rica: 15 days at $1,049 per person; (departures July through November; recommended for ages 12 plus). The Pacific Sea Turtle Project is a conservation initiative undertaken to protect endangered sea turtles and their nests, thus improving the chance for survival of hatchlings on Matapalo Beach. Families will volunteer in night beach patrols to protect the nests, collect data, do some general cleaning and maintenance and possibly monitor the baby turtle hatchery, where baby turtles are counted and released. Families will round out the week with two days in the Monteverde Cloud Forest and another two days in the town of La Fortuna, located at base of the Arenal Volcano. What: $45 military rate and half off buffet dining for active duty and retired U. S. military including members of the U. S. Coast Guard, National Guard and Reservists. 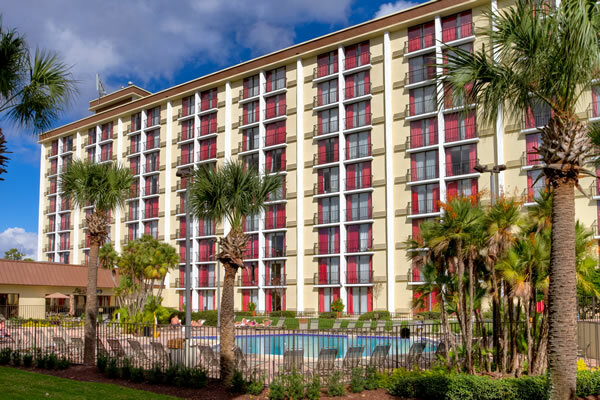 Where: Rosen Hotels & Resorts' four Orlando leisure properties - Quality Inn International, Rosen Inn (closest to Universal, Rosen Inn at Pointe Orlando (all three located along International Drive) and Clarion Inn Lake Buena Vista (near Walt Disney World). When: Through June 30, 2012. Extras: Complimentary shuttle service to Universal, Disney, SeaWorld, Aquatica, Wet'n Wild from three hotels on International Drive. Kids (ages 9 and under with paying parent) Eat Free program for breakfast and dinner buffets. Small print: Must present valid military ID and should be active, guard or reserve military. Subject to black-out dates, not valid for conventions or groups. Book: On line, www.orlandohotels4less.com/military50 or 1-877-224-5377. Scallop season in Florida runs July 1-Sept. 10 and paddling over the shallow grass flats in search of the elusive bivalves is an annual rite of passage for many. New to the tradition or a veteran, here's a deal to get you started. What: Two nights at the Plantation on Crystal River in a renovated water view or golf villa. • Guided scalloping tour including mask, snorkel and fins with one of the area's top captains. • Souvenir bag with mesh scallop bag, scallop recipes, sunscreen and water. • Chef will prepare your "catch" (scallops or fish) and serve with two sides. • Ramp launch, trailer storage and seawall tie for those bringing their own boat. Where: The Plantation at Crystal River is on Florida's West Coast 80 miles north of Tampa. How Much: Package starts at $249 per person, double occupancy. Also on site: Full-service marina, 18-hole golf course,9-hole executive course, Aveda spa, pool, croquet court. Other opportunities include swimming with manatees, pontoon or Jon boats for rent, fishing charters. Fine Print: Price listed is for mid-week with a guide. Weekends begin at $299 per person. Non-guided rates for third and fourth guests. Subject to availability, taxes and gratuities not included.